The Riviera Nayarit and its traditional villages have been the stage for important events in Mexico’s history. This, alongside with its exuberant topography, has contributed to numerous stories—both real and imagined. Apart from historical facts based on old documents, there are myths and legends that convey events from a magical point of view, far removed from the coldness of scientific fact. And so, with the Day of the Dead fast approaching, we’ve decided to put together a list of ten of these Stories, Myths and Legends that have been repeated from generation to generation and still today form part of the cultural legacy of the people of Nayarit. 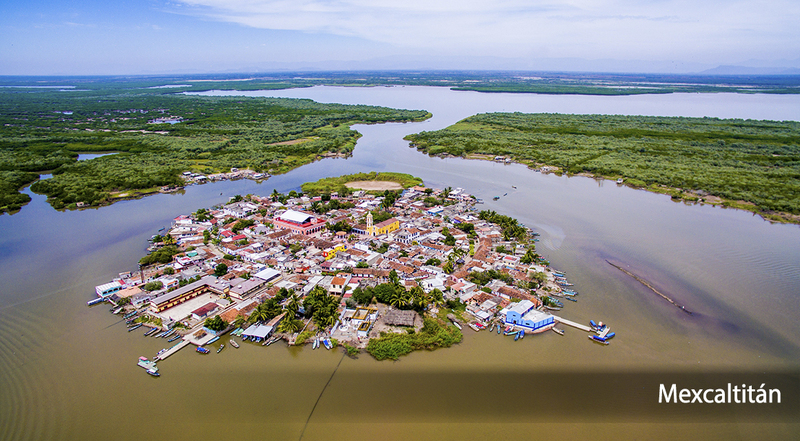 On your next trip to the Riviera Nayarit you’ll get to know some of the towns mentioned below and not only experience firsthand their natural attractions, but also learn all about their culture and traditions. The Manila galleon, also known as the Chinese Nao, was the name given to the Spanish ships that crossed the Pacific Ocean once or twice a year between Manila (Philippines) and the ports in New Spain (today known as Mexico), mainly Acapulco, Bahia de Banderas and Cabo San Lucas. This great journey happened between two and four times a year and the fairs that took place every time a Nao docked made these ports both famous and prosperous. Between 1768 and 1821, San Blas became the most important port in the Spanish colony, flourishing as a commercial center thanks to the tons of new and valuable merchandise unloaded by the merchants from the Western portion of the Hispanic colony. This was the maritime silk route and the cultural legacy it left behind is, without a doubt, unforgettable. The world famous Islas Marietas, located in the Riviera Nayarit, are a paradise in every sense of the world: their crystalline waters, white sand, coral and unique species of birds wow the visitor every second of their visit to this place. There’s a legend that says the most beautiful and famous beach in these islands, the Playa del Amor (Love Beach)—also known as Playa Escondida (Hidden Beach)—was created when bombs were dropped in the area. Basically, the place was used for military target practice by the Mexican government during the Second World War. However, scientific data reveals their unique formation is a product of thousands of years of marine erosion. During the 60s, thanks to the intervention of French oceanographer Jacques-Yves Cousteau, the military exercises were halted. In 2005 the archipelago received its status of national park. It’s believed the city the Aztecs (who were later known as Mexicas) left to build their new city of Tenochtitlán was the ancient Aztlán, whose characteristics and location coincide with the Island of Mexcaltitán. This legend is backed by stories of the voyage that appear in the Aubin Codicil, the Boturini Codicil and the Duran Codicil, among others. 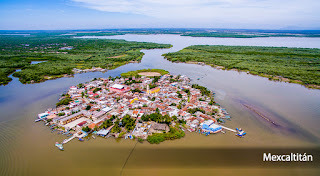 Although it hasn’t been able to be precisely confirm that this island in Nayarit is the one mentioned in the codices, it’s known the Aztecs described the European conquerors in the place from where they left, saying that it was a city on an island in the middle of a lake, without specifying its location. However, it’s said the structure and design of the ancient Aztec capital is the one that is still present in the current town of Mexcaltitán. This story of love and longing is one of the best known in San Blas. Rebeca Mendez was a mentally challenged woman who lived in the port and, according to different witnesses, frequented the dock wearing a wedding dress. In 1997 the Mexican band Maná was inspired to make her immortal. The song “En el muelle de San Blas” is one of its most famous tracks and made this historic port and the woman notorious in several countries around the world. Rebeca died in 2012 in the city of Chihuahua, where she lived after she reunited with her daughter. Her ashes were scattered at sea across from the famous dock, home of a statue of the Virgin who watches over the fishermen. The Contaduría (accounting house) in San Blas, located in the mountains of San Basilio, dates back to the year 1773, and is one of the places that saw the most fighting in the lengthy history of the port. Historical data suggests the rebel priest Jose Maria Mercado died when he fell off the cliff during one of these battles. The Contaduría is known for its amazing architecture and its views of the ocean, but it’s also a place of mystery. It’s common for people to hear voices and see shadows inside its tall, thick walls made of stone, and some of the night watchmen have referred to a supposed monk. Others say that when they walk down the hallways they sense horses and carriages are following them. Would you dare visit this historic building? 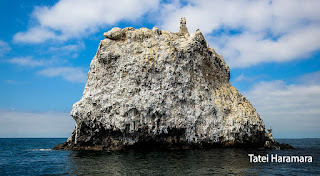 The famous white stone located across from Playa del Rey in San Blas is for the Wixárika people the physical manifestation of the goddess Haramara, the giver of life. This is, without a doubt, one of the most sacred places for the Huichol, the Cora and the Mexicaneros, three of the ethnicities with the most presence in Nayarit. According to Huichol legend, the goddess of the sea crashes against this rock to become mist, giving birth to the clouds and the rain. It’s also said this is where the gods left on the sacred route to Wirikuta, in the desert of San Luis Potosi. 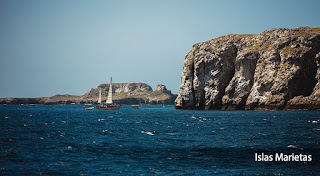 During the 17th century the pirates who lay in wait for the Chinese Nao would frequently visit the Bahia de Banderas. According to chronicler Eduardo Gomez Encarnacion, Tintoque and other villages were burned down several times by the buccaneers in order to steal the villagers’ pearls. To the north, the pirates and buccaneers who sought to seize the valuable merchandise from the Far East also hounded the Bay of Matanchen. Located in the municipality of Compostela, Chacala and Los Ayala are also two legendary spots. It’s said Los Ayala got its name from one of the bandits who plundered the area during the time of the chiefdoms. The locals say there are still caves hidden by the undergrowth north of town that were used by “the Ayalas” to hide from the landowners. Bahia de Banderas—specifically Punta de Mita—was where divers extracted the huge precious pearls that enriched the families in New Spain or New Galicia. Based on the tales of chronicler Domingo Lazaro de Arregui, in Nayarit they found pearls the “size of a plum pit” that were sent directly to Italy, which was the most important center for pearls in Europe. From there they passed to Seville to be distributed to throughout the Old World. These pearls were extracted from the area located in what are today known as the Islas Marietas, which were called the Islas Tintoque. Because of these riches, Bahia de Banderas was a center for piracy. 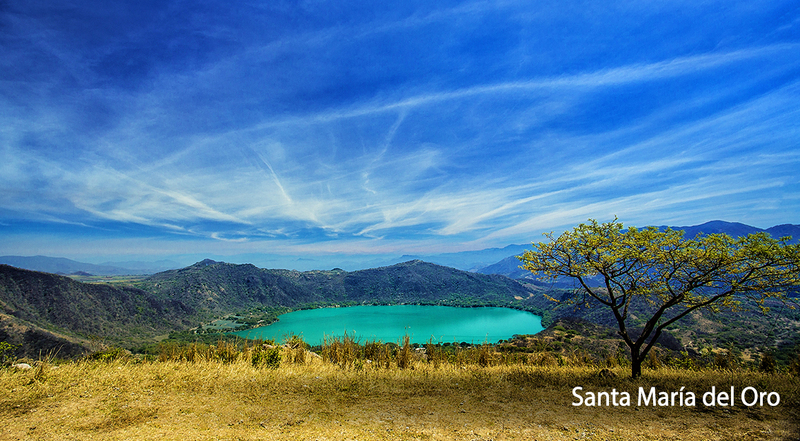 The “enchanted lagoon” o Santa María del Oro is located within the caldera of a volcano in the Western Sierra Madre. It’s so deep that for decades it was thought to be bottomless, until a geophysical study by the UNAM released in 2016 revealed the lagoon had a maximum depth of 60 meters and a diameter of 2.25 kilometers. Although the study disproved the legend, there’s another one that’s even older and more fantastic: it’s said that in the ancient village of Michiztlan there was a king who had a beautiful daughter, who fell in love with a young man from the enemy camp. The king was furious when he realized what was happening and sent his soldiers to tie the youths to a post. Seeing themselves so close but yet so far, the lovers cried without stopping for days, creating a lagoon. Can you imagine a beach where you can swim and get a tan right next to a cemetery? It’s possible at the Playa Los Muertos (Beach of the Dead) in the Magical Town of Sayulita. To get there you have to cross a cemetery decorated with gravestones with skulls and surfboards on top used as flower vases; it really is something out of the ordinary. It’s open to the public and people cross it on foot, on quads, golf carts or on horseback, in order to reach “paradise”—its beauty is truly breathtaking. Once the visitors cross the cemetery they find an ample area with palm trees to shade those who prefer to stay out of the sun, along with clean sand and calm waves. This is a virgin beach, exclusive to those who like silence and solitude.